Although Teresa of Avila lived five centuries ago, her superbly inspiring classic on the practice of prayer is as fresh and meaningful today as it was when she first wrote it. Teresa's strong desire throughout is to lead readers into a deeper and prevailing life of prayer. She begins with a treatment of the three essentials of the prayer-filled life - fraternal love, detachment from created things, and authentic humility. Building on that foundation, she then teaches on the cherished practices of prayer and contemplation. Finally, she provides a detailed and moving discourse on the Lord's Prayer. Experience the fervent devotion of St Teresa, and allow her to help you explore the rewarding discipline of contemplative prayer. 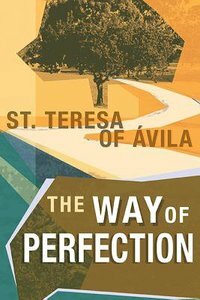 About "The Way of Perfection"
At the age of seven, Teresa ran away from her home in Avila, hoping to be martyred at the hands of the Moors. As a teen, she secretly enjoyed reading novels of chivalry. Taught by Augustinian nuns, Teresa acquired a sense of religious vocation only gradually. Deciding to become a nun, she professed as a Carmelite of Avila in 1537. Although she became ill to the point of having wax applied to her eyes in preparation of death, she did not die, but she did leave the convent. Teresa later returned to the convent and, upon reading St. Augustine's Confessions, experienced a conversion at the age of 40. When she experienced visions and heard voices, she wondered at first if it was the work of the devil. She found comfort in Peter of Alcantara's assessment that her experiences were of a divine origin. Life as a Carmelite nun tended to be comfortable, but not dissolute. Inspired by her mystical experiences, Teresa took practical steps to reform the Carmelite order. In 1562 she founded a convent with a stricter regime of discipline than was common. She also organized a Discalced Carmelite monastery for men. In doing so, she met Juan de Yepes y Alvarez, known to us as the mystic St. John of the Cross, who became a fellow reformer. In all, she founded 16 reformed convents. Teresa's spirituality cannot be characterized in a word, but humility rather than honor was at its center. Her life of contemplation led to active service. Upon her death in 1582, her body remained preserved. This, along with other signs of saintliness, led to her canonization in 1622. In 1970, she was declared a "Doctor of the Church," the first woman in the history of the Catholic church to receive that honor. Her books, which include her autobiography, The Life of Teresa of Jesus, and her seminal work, The Interior Castle, are an integral part of Spanish Renaissance literature, as well as Christian mysticism and Christian meditation practice.